The tropical drink best enjoyed while lounging on the beach has inspired the latest hair color trend. And if you're ready for a new (and a bit bold) change, this look is for you. The soft copper, apricot, and tangerine tones of what stylists are calling "tequila sunrise hair" come together beautifully (just like all the flavors of a tequila sunrise!). 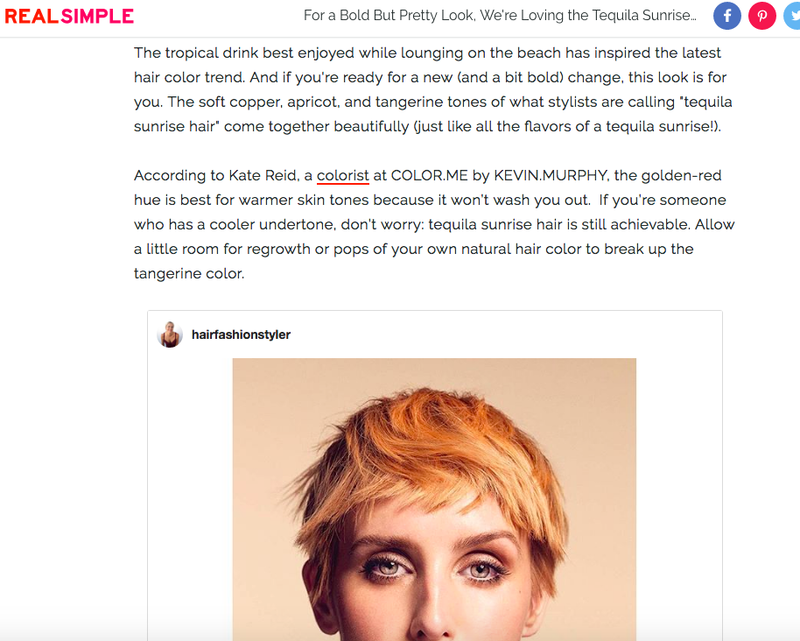 According to Kate Reid, a colorist at COLOR.ME by KEVIN.MURPHY, the golden-red hue is best for warmer skin tones because it won’t wash you out. If you’re someone who has a cooler undertone, don’t worry: tequila sunrise hair is still achievable. Allow a little room for regrowth or pops of your own natural hair color to break up the tangerine color.